Lewis Hamilton, the 33-year-old phenom British F1 driver for Mercedes, has won his 5th World Title to secure his name in the record books. He ended up taking a 5th place finish in his race at the Mexico Grand Prix this past weekend. Hamilton needed to place 7th or better in his race. He wasn’t too worried about the competition, with only one other driver that was close to catching him. He needed to take 1st to make that happen and could not do so. So, what does this mean for Hamilton? This past year for him has been the best one yet, but he mentioned that more challenges and obstacles are easily ahead as his next year’s expectation will be even higher. 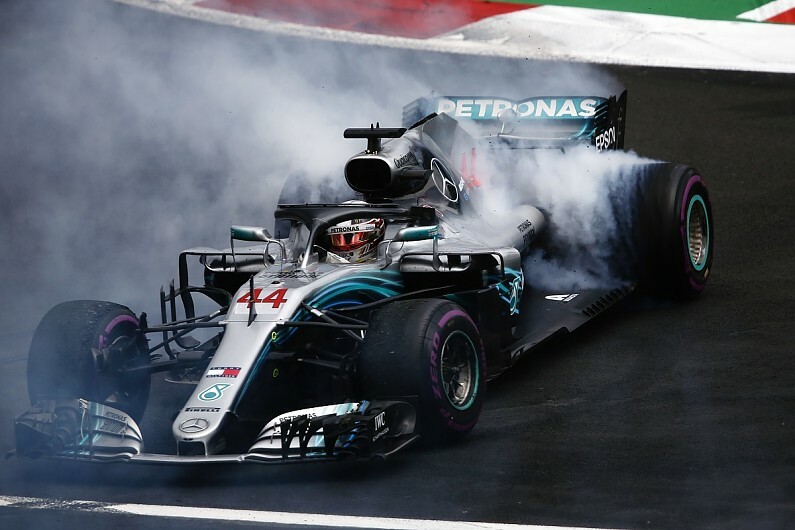 The Mercedes driver battled through issues concerning his car, engine, and race drama all year, but still managed to find a way to win. Hamilton, a British native, has been racing for just about his entire life. With the massive support from his father training him and backing his dreams of being a competitive driver. Born and raised in Stevenage, Hertfordshire, Hamilton’s interest in racing started when his father bought him a radio-controlled car when he was six. He was signed to McLarens Young Driver Support Program in 1998, after he approached McLaren team principal Ron Dennis at an awards ceremony three years earlier and said, “one day I want to be racing your cars”. After winning the British Formula Renault, Formula 3 Euro Series, and GP2 championships on his way up the racing career ladder, he made his Formula One debut twelve years after his initial encounter with Dennis, driving for McLaren in 2007. Coming from a mixed background, Hamilton is the first and only African American driver to race in Formula One. Breaking records and barriers for his family meant a lot to him. Racial challenges faced him on his way up the ranks, but he was never deterred by anyone trying to tear him down. He let his racing speak for itself; His racing did a lot of talking for him this year. In our previous blog on ESports, we discussed how this is fundamentally setting up young drivers just like Hamilton was and prepping them for the competitive world using top tier simulation. Replacing remote controlled cars, with ERacing and simulated environments. Hamilton is now sitting on the peak of his career with nothing to hold him back. He will return next season with his eye on the record for most World ‘chips currently held by Michael Schumacher. This Mercedes driver is solidifying himself as one of the greats and climbing the ranks of F1 Racing royalty.